Despite the barrage of ads encouraging people to vote, thousands were unable to use their power of franchise yesterday. They included workers who keep vital services running – including services that enable others to cast their votes. Others include the homeless, who lack an address needed for inclusion on the electoral register. An estimated 1.5 million Sri Lankans working overseas lacked the means to cast votes. The Commissioner of Elections, Mahinda Deshapriya, conceded that many people were unable to vote due to their professions. “I think there should be an advance voting scheme introduced. I hope a system can be introduced this year,” he said. Those unable to vote yesterday included hospital in-patients, those engaged in health care and the public transport sector, and prisoners. Mr. Deshapriya said he appealed to private tuition schools and private academic institutions to cancel classes yesterday as many of them, mostly first-time voters, could have missed out on casting a vote. Election monitoring groups said despite their continual requests the government had been slow to create plans that would allow every citizen to vote. 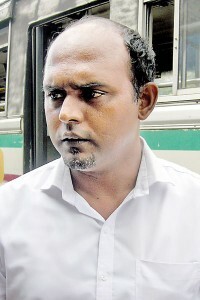 The Executive Director of the Campaign for Free and Fair Elections (CAFFE), Rajith Keerthi Tennakoon, said voting was a fundamental right that should not be violated. “People in remand have a right to vote,” he said. “They should be allowed to vote in prisons – it can be easily done since they are stationed in one place,” he pointed out. The same process could be carried out in hospitals to enable both patients and staff attending to emergency services to cast their votes. “Most countries have set up mechanisms for people employed in these situations,” he said. The People’s Action For Free and Fair Elections (PAFFREL) also said the government should create policy to prepare mechanisms to allow people who are not able to cast ballots on general voting day to be allowed another opportunity. PAFFREL Executive Director Rohana Hettiarachchie said an advance voting system should be formulated. Many bus drivers, conductors and schedule time-keepers who were compelled to work on election day in order to provide public transportation were also unable to cast votes yesterday. 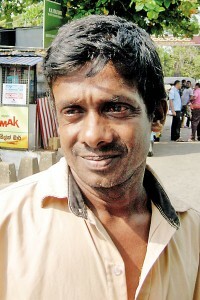 Nilantha Priyankara Perera, a time keeper at the Rajagiriya, Welikada private bus stand said buses had to keep to schedules even on election days. Fortunately, as the bus company only operates 13 buses out of its fleet of 27 on Saturdays, Mr. Perera was able to make leave and shift-swapping arrangements to allow as many bus crew members time to go to a voting centre. Mr. Perera himself was not able to vote as his fellow time-keeper had an off-day yesterday so Mr. Perera had to be on duty from 5am to 5.30pm. 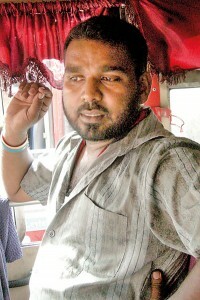 A private bus driver from Kollonawa, Nihal Ranjith, said he and his friends had to report for duty on election day as there was a high demand for buses on such days. 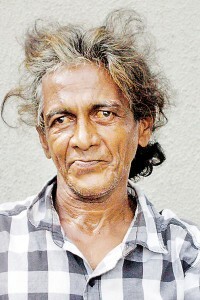 Sri Lanka Transport Board (SLTB) bus driver Niroshan Amarasinghe said although postal voting was available some drivers had not been able to vote due to sickness or being held up by other duties. He had been sick and unable to cast a postal vote. Mr Amarasinghe said there should be more flexibility in the postal voting system. Homeless people who live on the streets were denied voting privileges since they did not live in a specified area, a necessity for being placed on voting lists. 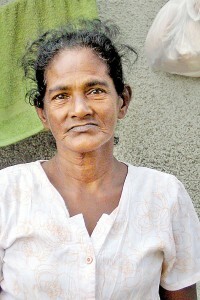 Sandamali Peris, who lives in a make shift tent at the Welikada junction in Rajagiriya, said she had not voted for years after her makeshift house had been broken up by the authorities. “Since we have no stable home we aren’t able to vote and elect someone who can resolve our problems,” she said. Her other problem is that she has no identity card, only a birth certificate. 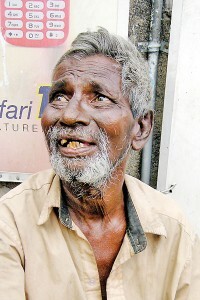 Mr. Hettiarachchi of PAFFREL said people who do not have a home were yet people of the country and should be allowed to vote at least in presidential elections. The Director of Foreign Employment Bureau, Upul Deshapriya, said as a public servant he believed the more than 1.5 million Sri Lankans working overseas should be provided with a mechanism for voting.